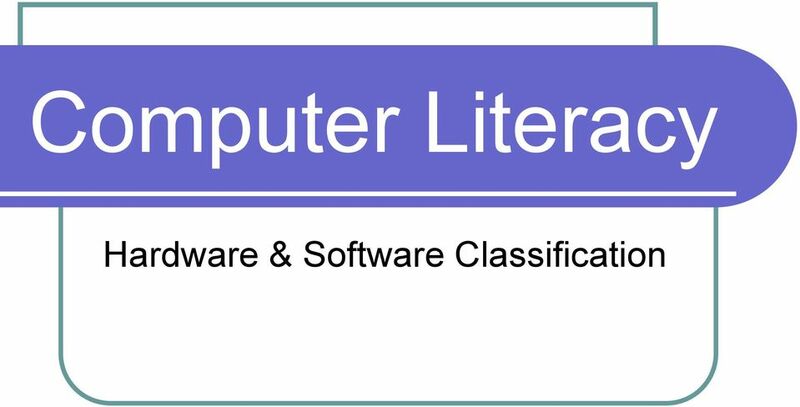 Download "Computer Literacy. 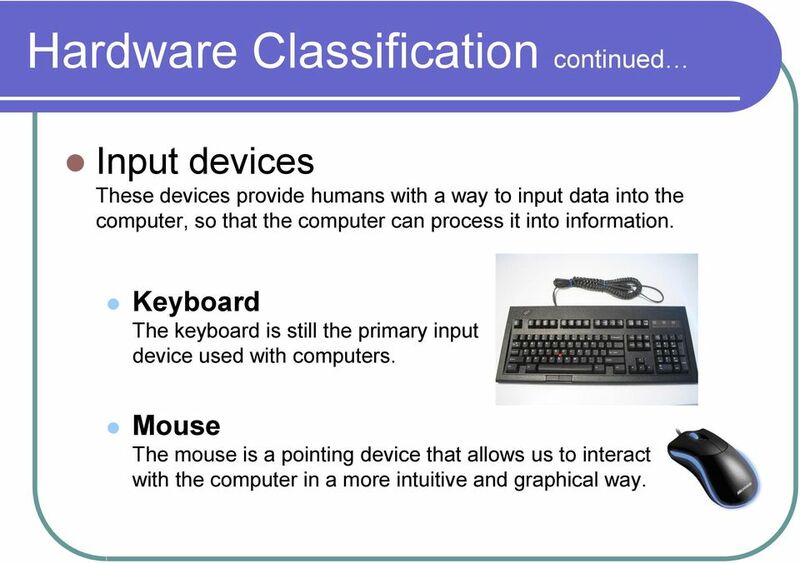 Hardware & Software Classification"
3 Hardware Classification continued Input devices These devices provide humans with a way to input data into the computer, so that the computer can process it into information. Keyboard The keyboard is still the primary input device used with computers. Mouse The mouse is a pointing device that allows us to interact with the computer in a more intuitive and graphical way. 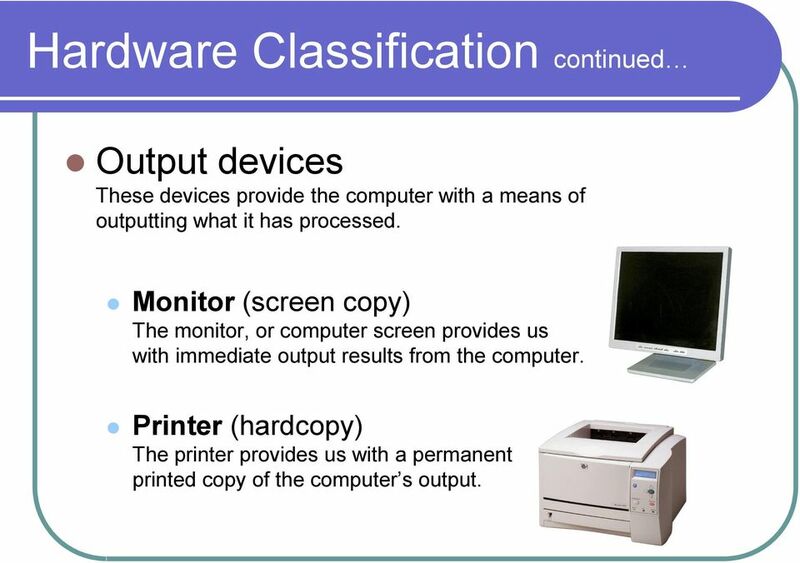 5 Hardware Classification continued Output devices These devices provide the computer with a means of outputting what it has processed. Monitor (screen copy) The monitor, or computer screen provides us with immediate output results from the computer. Printer (hardcopy) The printer provides us with a permanent printed copy of the computer s output. 6 Hardware Classification continued Storage devices These devices provide the computer with a means of storing what it has processed. 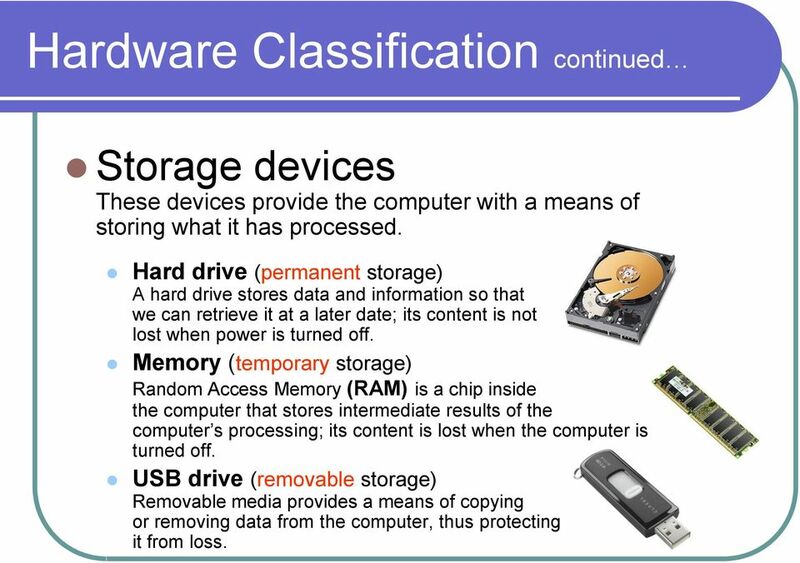 Hard drive (permanent storage) A hard drive stores data and information so that we can retrieve it at a later date; its content is not lost when power is turned off. Memory (temporary storage) Random Access Memory (RAM) is a chip inside the computer that stores intermediate results of the computer s processing; its content is lost when the computer is turned off. USB drive (removable storage) Removable media provides a means of copying or removing data from the computer, thus protecting it from loss. 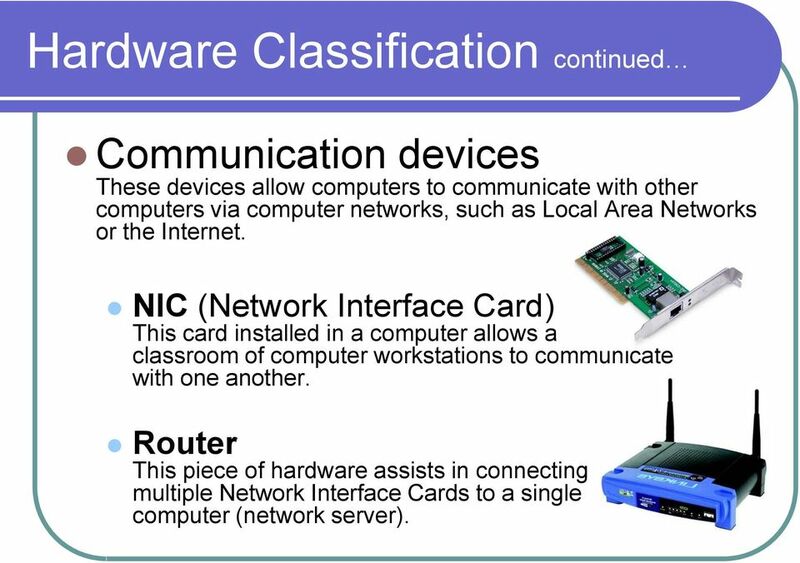 7 Hardware Classification continued Communication devices These devices allow computers to communicate with other computers via computer networks, such as Local Area Networks or the Internet. NIC (Network Interface Card) This card installed in a computer allows a classroom of computer workstations to communicate with one another. Router This piece of hardware assists in connecting multiple Network Interface Cards to a single computer (network server). AIR FORCE ASSOCIATION S CYBERPATRIOT NATIONAL YOUTH CYBER EDUCATION PROGRAM UNIT THREE. Computer Basics and Virtual Machines. www.uscyberpatriot. 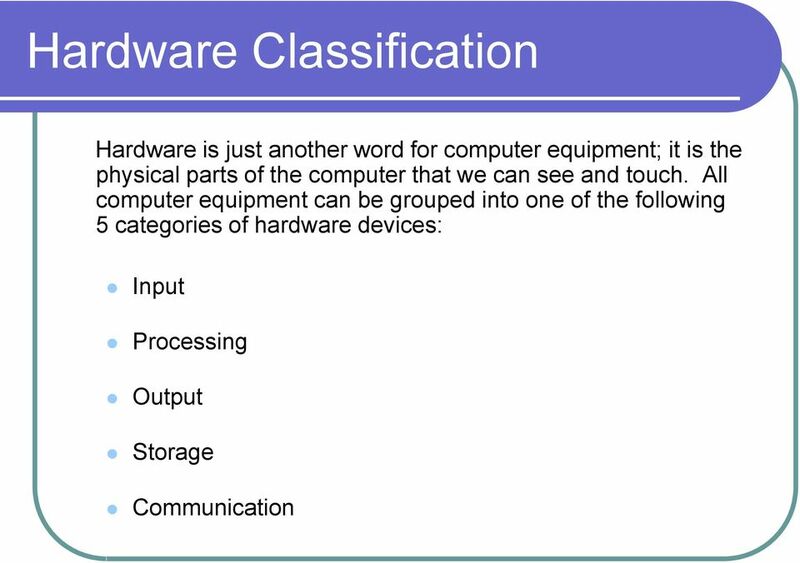 Obj: Sec 1.0, to describe the relationship between hardware and software HW: Read p.2 9. Do Now: Name 3 parts of the computer. Chapter 1. The largest computers, used mainly for research, are called a. microcomputers. b. maxicomputers. c. supercomputers. d. mainframe computers. Management Challenge. Managing Hardware Assets. Central Processing Unit. What is a Computer System? Fall 2009. Lecture 1. 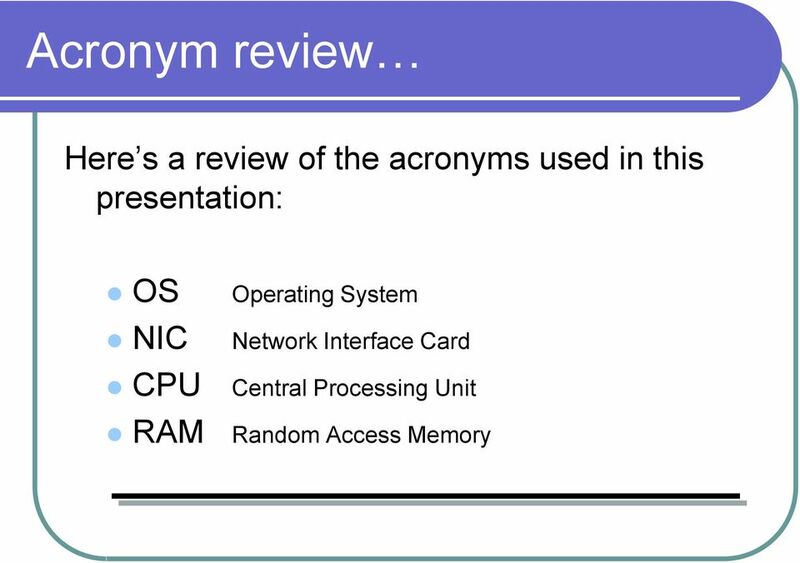 Operating Systems: Configuration & Use CIS345. 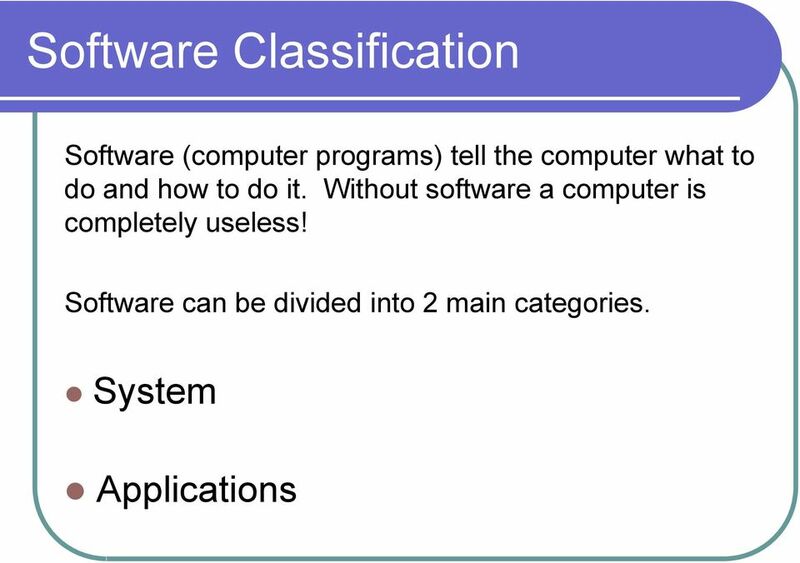 Introduction to Operating Systems. Mostafa Z. Ali. mzali@just.edu. There are many processor manufacturers for personal computers, but the most well-known ones are Intel and AMD. Computers Are Your Future Prentice-Hall, Inc. Logical Operations. Control Unit. Contents. Arithmetic Operations. Objectives. The Central Processing Unit: Arithmetic / Logic Unit. Chapter 8 Objectives. 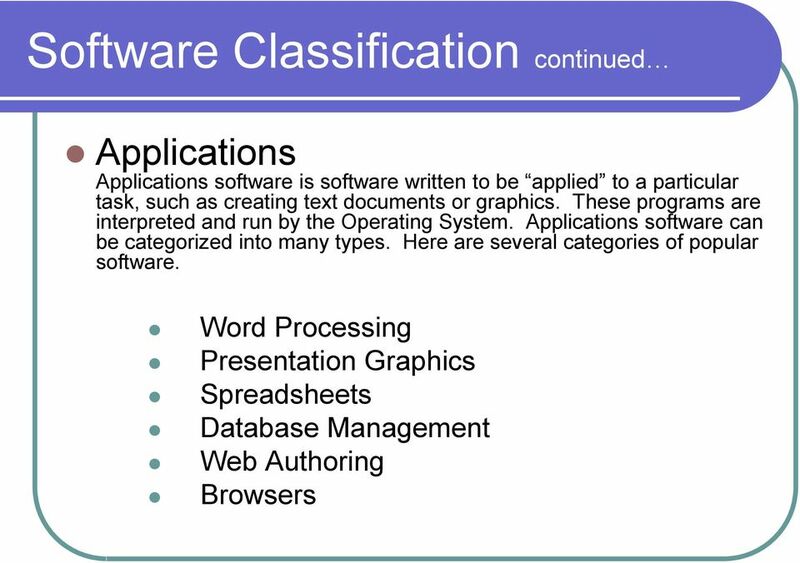 Chapter 8 Operating Systems and Utility Programs. Operating Systems. Operating Systems. Operating Systems. 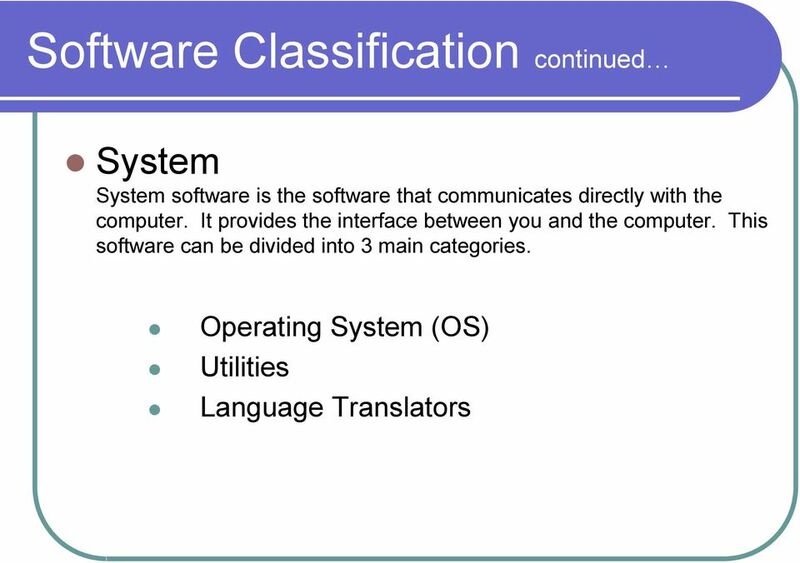 Operating System Software Lecture 7 The operating system Defines our computing experience. First software we see when we turn on the computer, and the last software we see when the computer is turned off. Antelope Enterprise Electronic Documents Management System and Workflow Engine Antelope Enterprise v4 High Availability Edition Information in this document applies to the Antelope Enterprise v4 High Availability. Acceptable Use Policy (AUP): Policy which provides rules governing use of district technology. 2. Empty the Recycle Bin. Some users need to be reminded to periodically empty the Recycle Bin. Click to view Web Link, click Chapter 8, Click Web Link from left navigation, then click BIOS below Chapter 8 p. 395 Fig. 8-4. Microsoft Office Outlook 2013: Part 1 Course Specifications Course Length: 1 day Overview: Email has become one of the most widely used methods of communication, whether for personal or business communications. Machine Architecture and Number Systems. 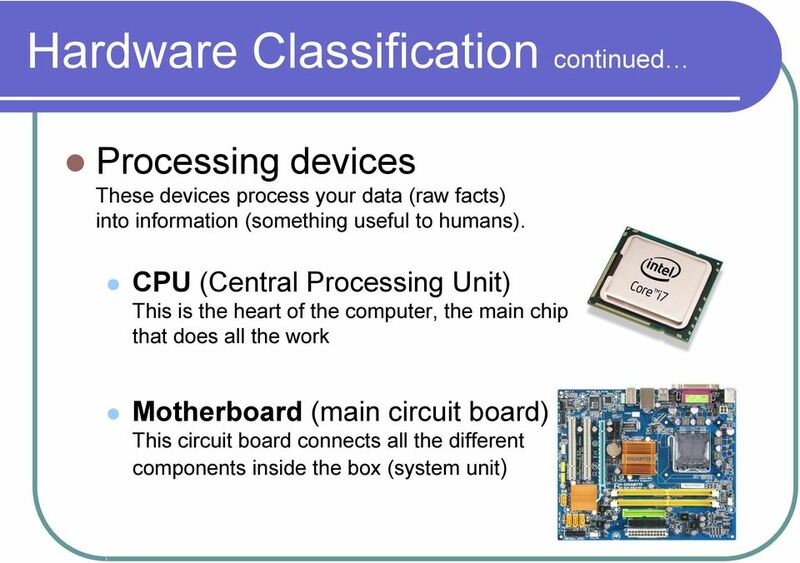 Major Computer Components. Schematic Diagram of a Computer. The CPU. The Bus. Main Memory.